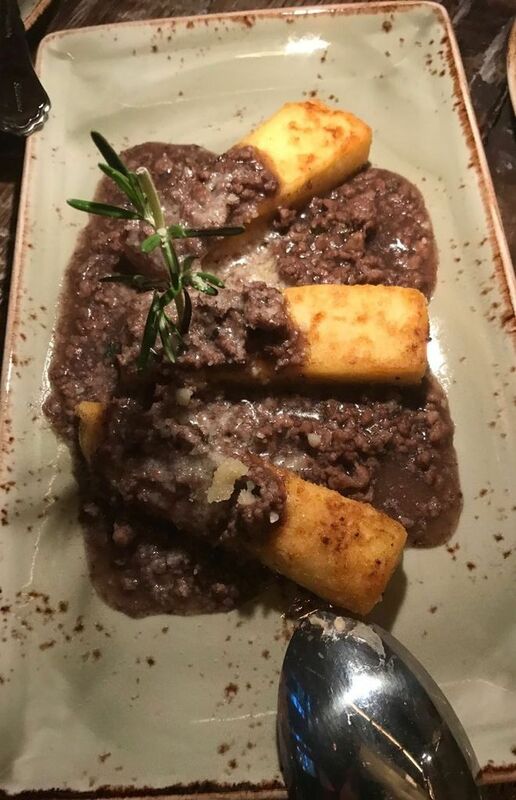 Fried cornmeal cakes are served with a sausage ragu in a rosemary red wine sauce. The crowd passing by skews young as do the fans of Tartina. I’m early to arrive tonight, caught up in watching the youthful sidewalk parade, students from Columbia, I guess. The crowd skews young in here too. 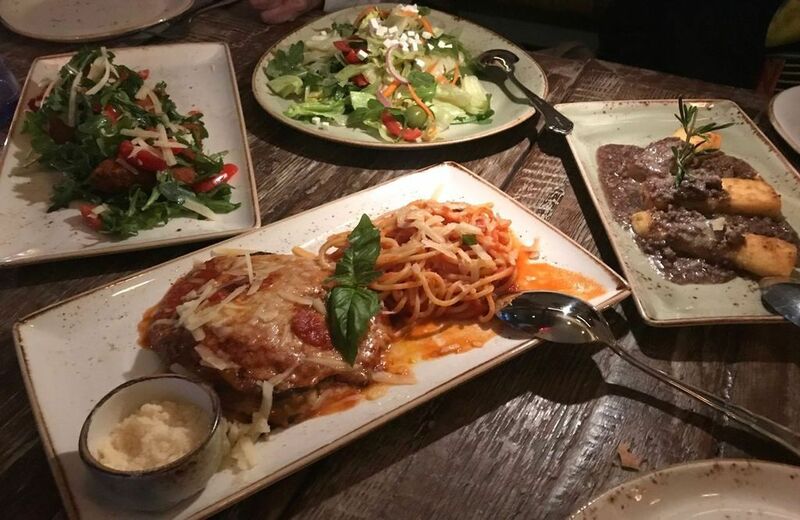 We share four starters: Two salads at top, polenta cakes-sausage ragu right and eggplant Parm with spaghetti. 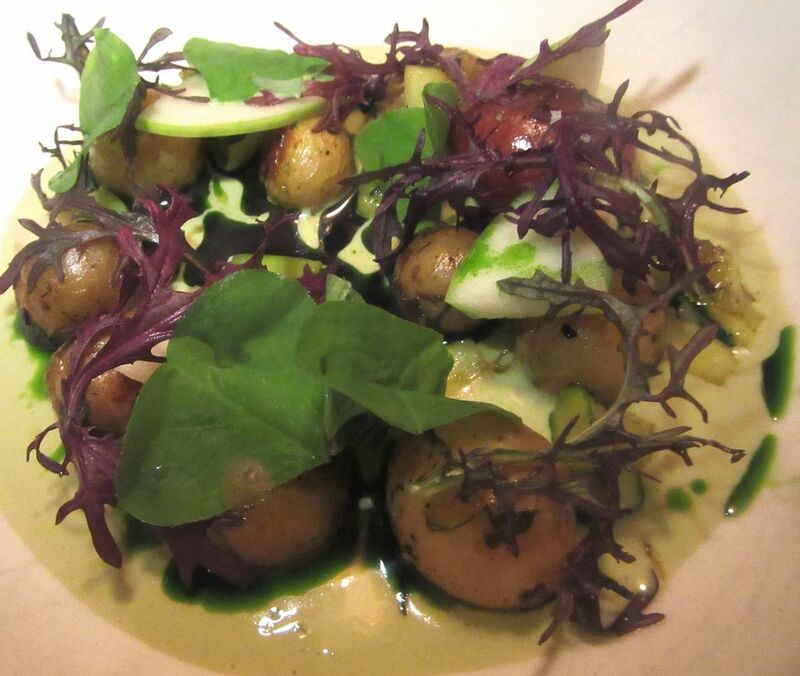 Not everything that comes out of the kitchen lives up to the optimism and aspirations of its ambitious menu. But enough does. It strikes me as refreshingly inexpensive too, a dozen pastas mostly $15 and $16, entrees $18 to $23 except for steak cooked on a hot lava stone, $8 desserts, wines by the glass from $10. I’m meeting friends who live not far away on East 96th Street and hope Tartina will be an easy new fall-in for them. 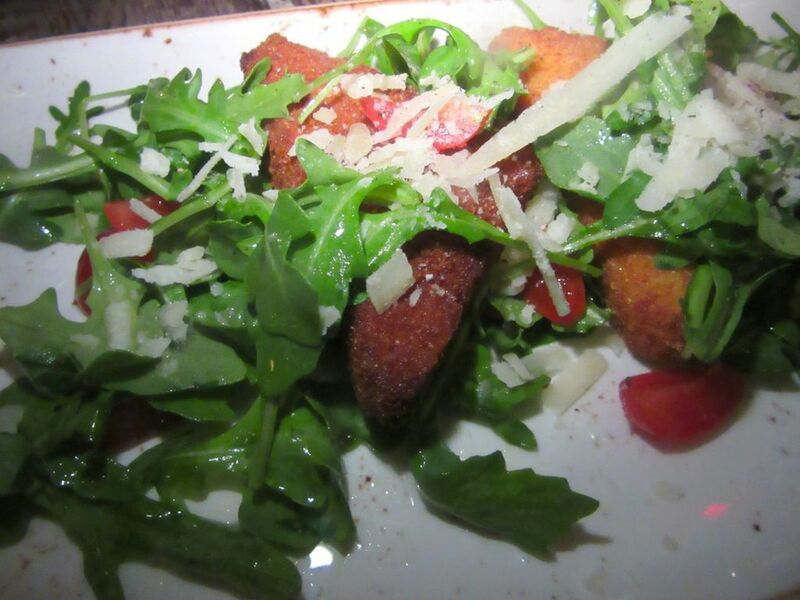 Triangles of fried pasta cakes hide in a toss of greens in the evening’s special antipasto salad. The stale and boring bread left by the dedicated bread deliverer could have been a warning. Great bread can be a positive sign. Bad bread is worrisome. I think of the thrilling bread I had to pick up at 11 am sharp in a certain grocery in Venice. And the marvelous bread I lined up to score on long ago Sundays in Trastevere across the bridge from our winter rental in Rome. The place is called Tartina, for goodness sake! It should serve great bread. 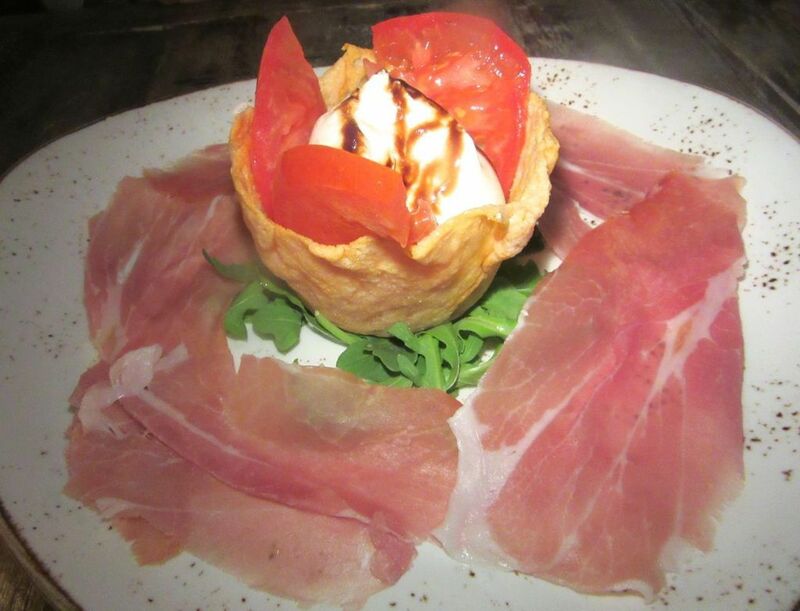 It’s Panariello: Burrata is tucked into a Parmigiano nest over prosciutto crudo and tomato. One of my favorite dishes at Tartina is the gnocchi in a butternut squash sauce with slivers of speck. But our trio is sufficiently impressed anyway by the burrata piled into a crisp parmigiano nest surrounded by slices of fresh ham and tomato. The imagination. The color. The play of textures. 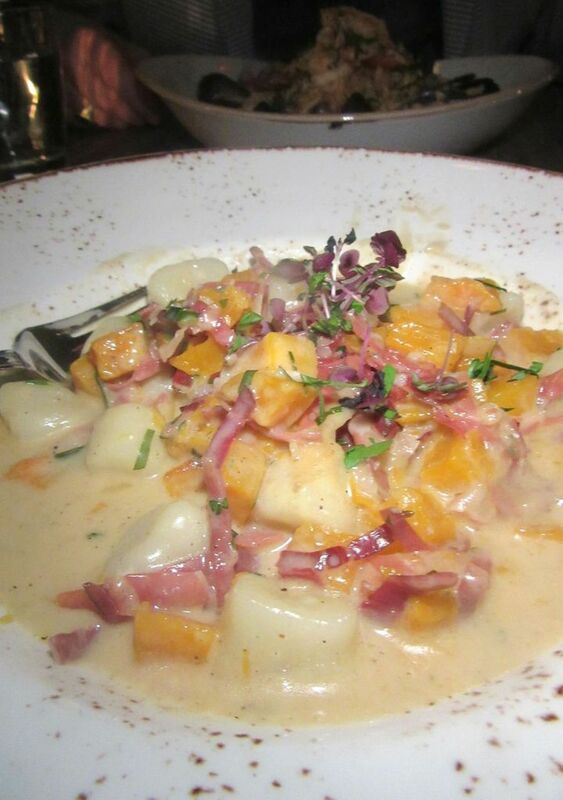 The housemade gnocchi in a rich butternut squash sauce with splinters of gamey speck is seductive too. 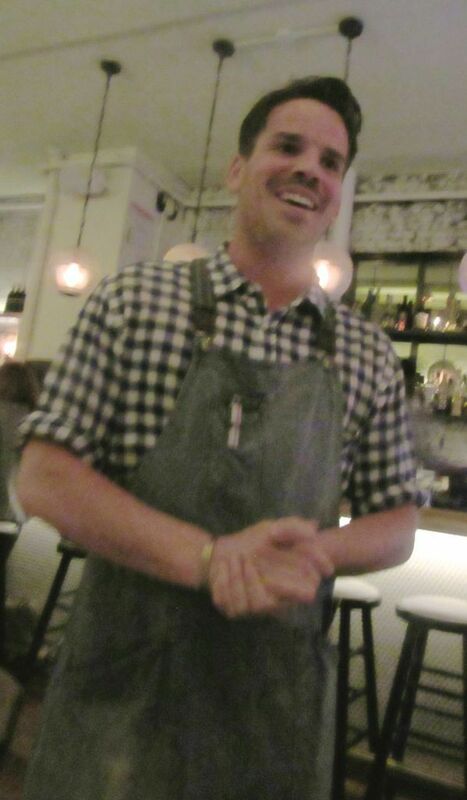 Alexey, our good-looking server in the house blue and white checked shirt, has a charming command of the menu. His passionate delivery of the specials and his intimate confessions – born in Russia, German and Jewish – make up for the slow delivery of cocktails and wine. 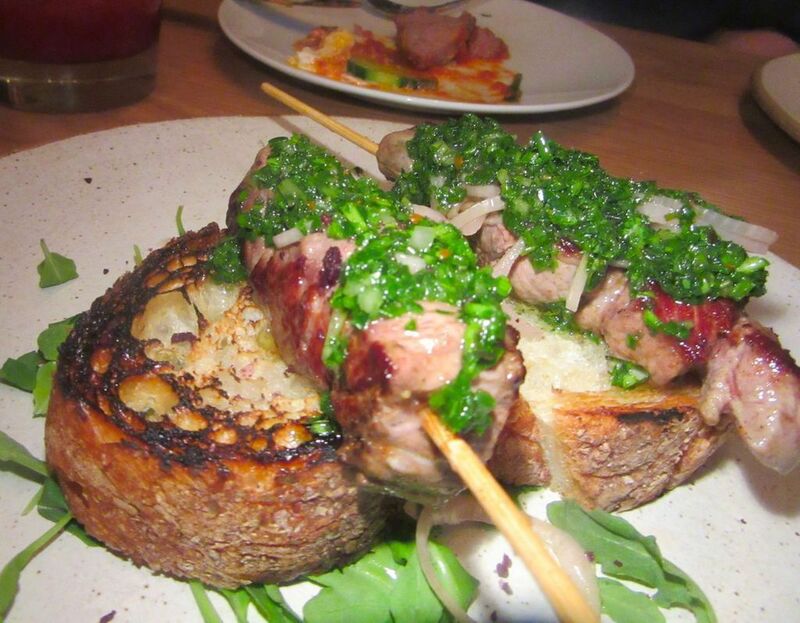 Our server Alexey shows an impressive command of every dish and all the ingredients. 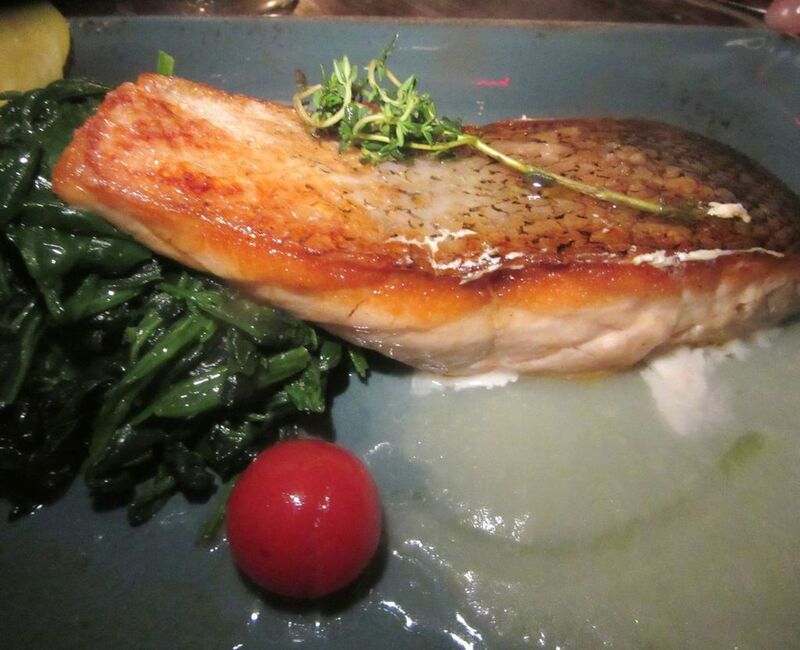 Pan seared salmon fillet in a fennel sauce proves to be dry and overcooked. Alexey takes it away. I let my pal Belle order salmon, predictably boring salmon. I would prefer a more original option. But I don’t want to seem a bully. We’ve already shared her special salad with a trio of fried pasta triangles in a tangle of baby greens and my calamari and shrimp fritti with tartare dip. The salmon is dry, sadly overcooked. We get Alexey to take it away. 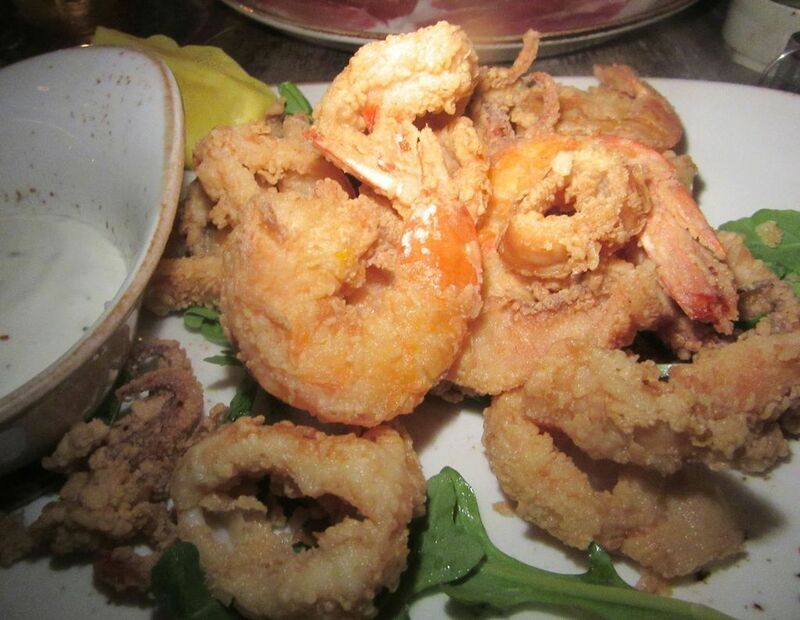 I seem to have a special weakness for calamari and shrimp fritti. 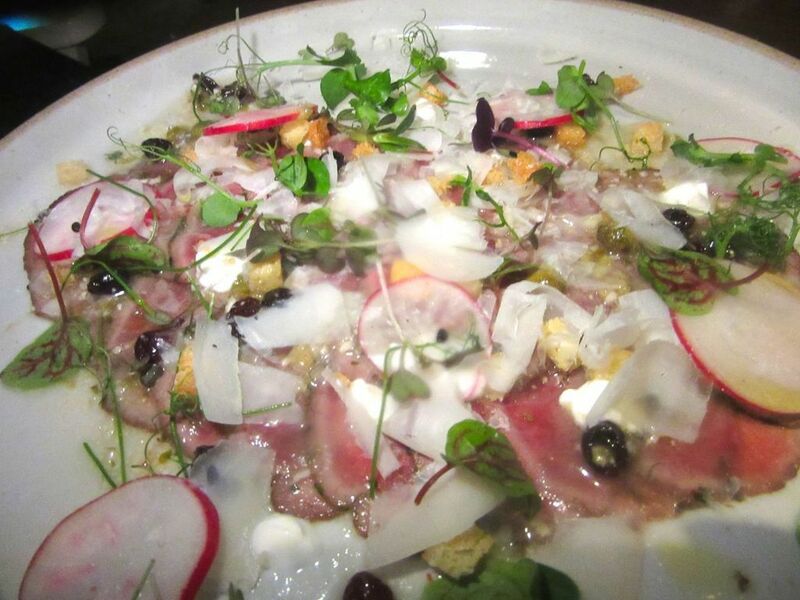 Here it comes with tartare dip. 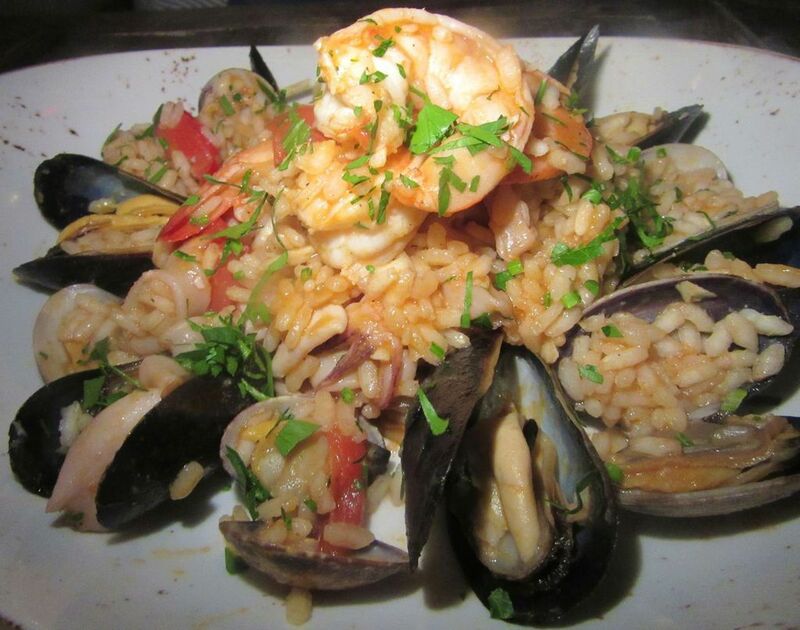 Seafood risotto with the texture of paella is a special one evening. The seafood risotto of the day tastes more like paella, but the rice is good, and it’s an abundant portion too, more to share. 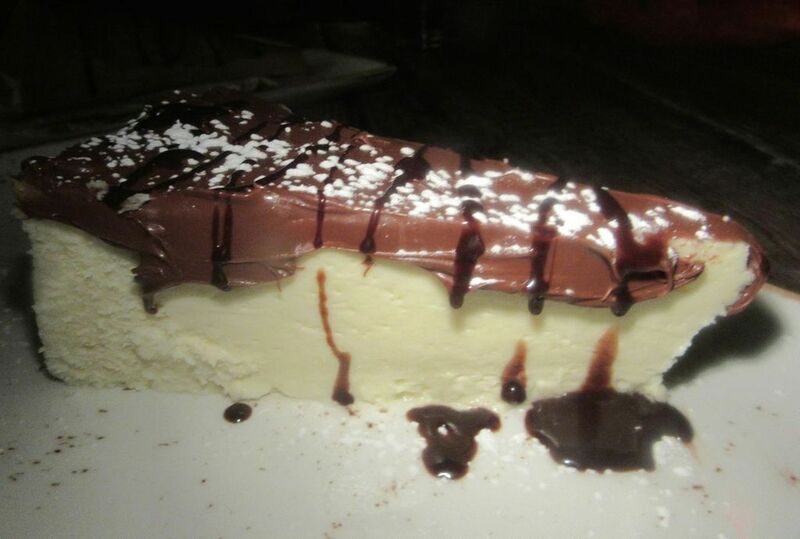 The cheesecake is frosted with sweet Nutella. The Fragola, a pastry horn filled with mascarpone, yogurt cream and berries, is a gift from Alexey, he announces, presenting the bill. Peter decides to treat us all, so I don’t notice till later that somehow the check with tip adds up to $80 each. Tartina’s cheesecake is frosted with Nutella. The “Fragola” is a pastry horn filled with mascarpone and yogurt cream and served with berries. Still, I can’t wait to return. I’ve started to think of Tartina as a definite find. It’s more pleasant for me to drive north for dinner than to fight midtown traffic snarls most nights of the week. 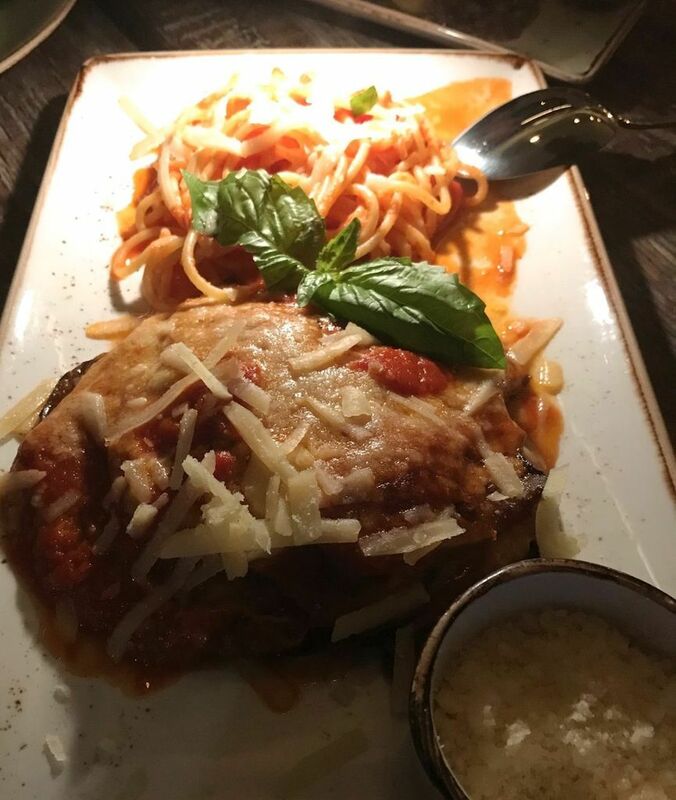 Eggplant Parmigiano is served with a side of spaghetti as a $12 antipasto. We’re four a few evenings later. A $12 portion of parmigiana Sorrentino delivers layered eggplant in a basil tomato sauce with a side of spaghetti. Fried cornmeal cakes covered with sausage ragu in a red wine sauce are good too. But the balsamic vinaigrette on the parzunar romaine and baby arugula salad is sadly feeble, desperately in need of some spark. 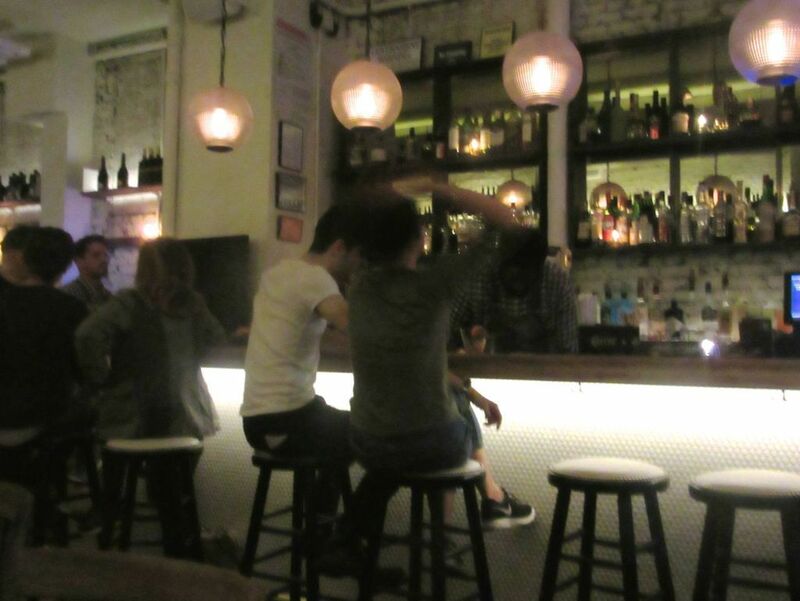 And the bar service is even more erratic. 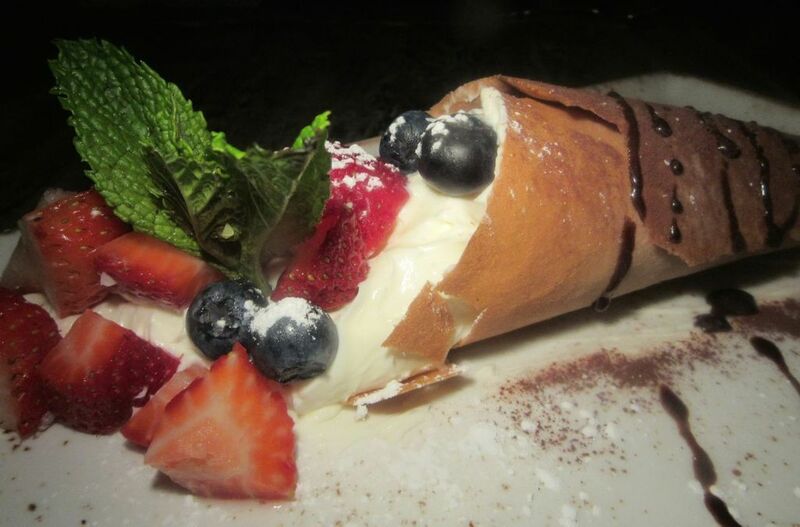 Housemade crepes are rolled and stuffed with ricotta, mozzarella, grana padana and spinach. Caramelle pasta are filled with mozzarella and ricotta and served in a butter, walnut and radicchio sauce. 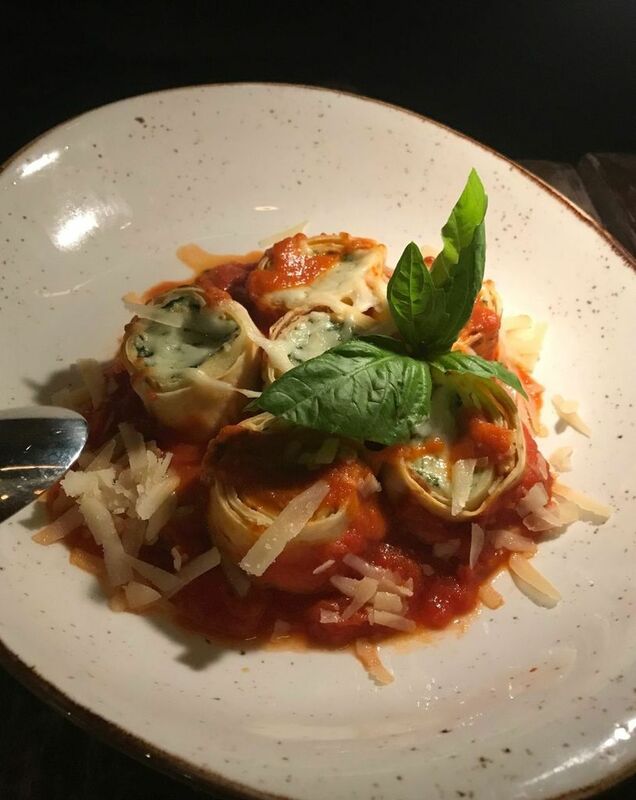 I order housemade crêpes stuffed with ricotta, mozzarella, grana padana and spinach in a light tomato sauce and big shell pasta similarly stuffed. I like them both. 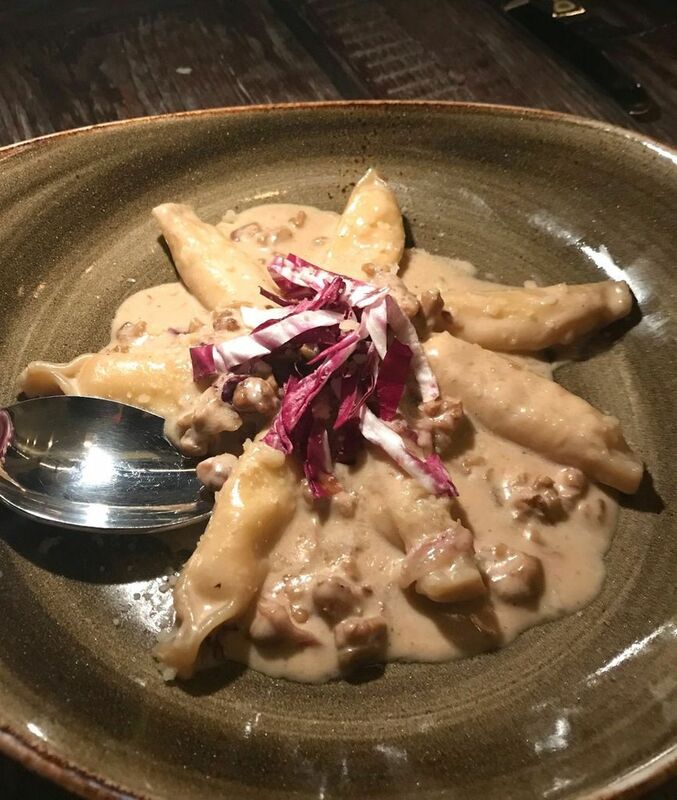 Caramelle pasta shaped like wrapped caramels, also filled with mozzarella and ricotta, sits in a walnut and radicchio butter sauce. 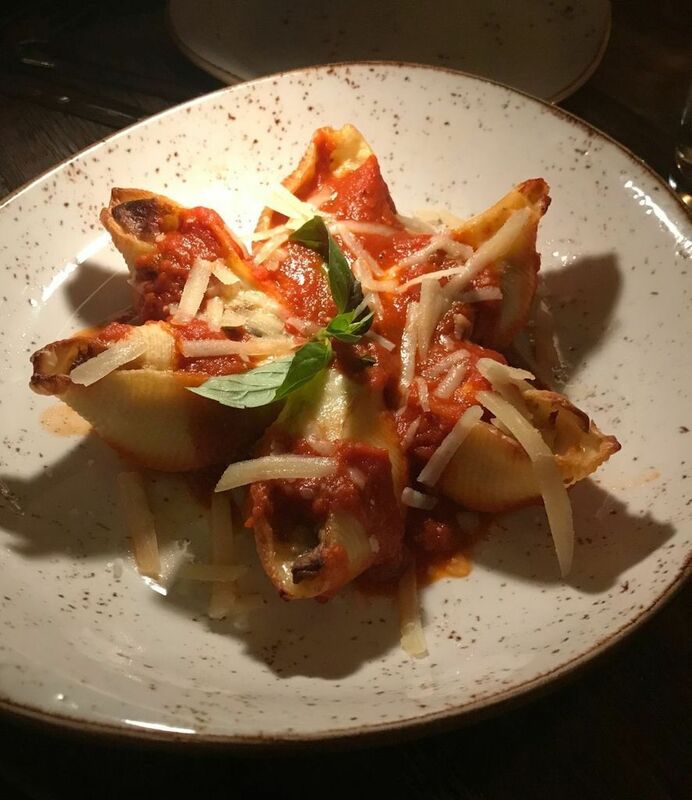 The chef fills jumbo pasta shells with a mix of three cheese and eggplant and serves them in a tomato sauce. Stewed kale and roasted potatoes flank trio of sweet Italian sausages sauteed in white wine. 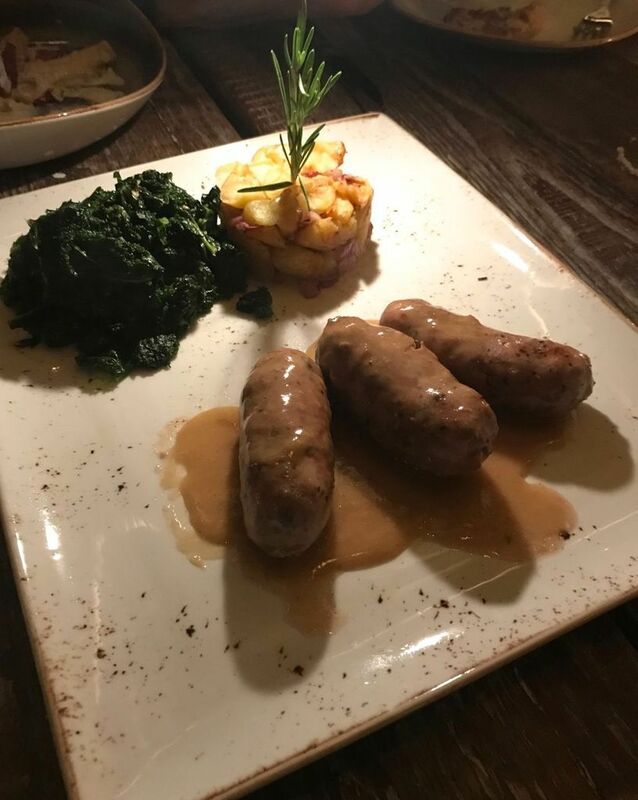 A trio of sweet Italian sausages served with braised kale and roasted potatoes is barely touched after the super- rich pastas. Orata filet wrapped in potato thins is overcooked and we send it away. No one wants dessert. I worry about seeming too enthusiastic about a kitchen that can be so uneven. 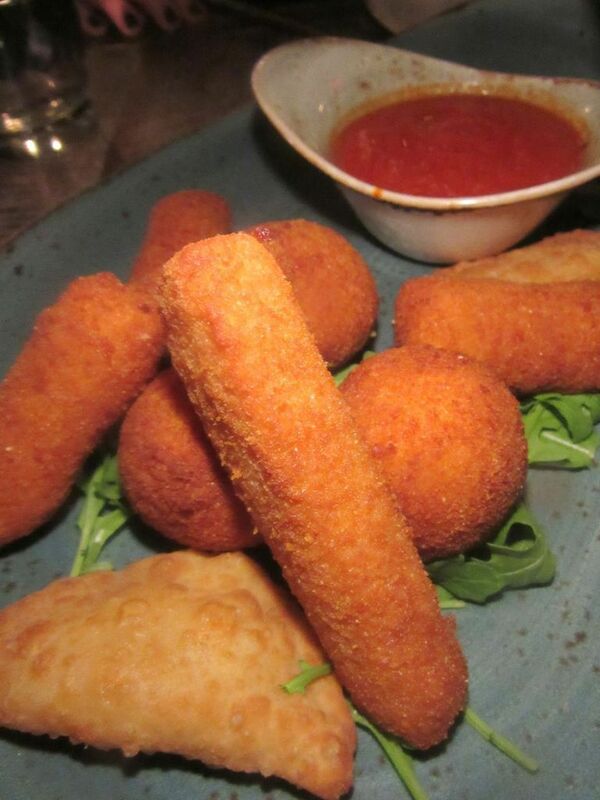 A collection of Italian fried things – croquettes, rice balls, frittoline, mozzarella Milanese –is dinner by itself. That’s why I’m back with a friend Friday night. I get her to taste the dried out bread so we can agree it’s an insult. The $14 fritto Italia – a collection of rice balls, croquettes, frittelline, and mozzarella pastries – looks better than it tastes. 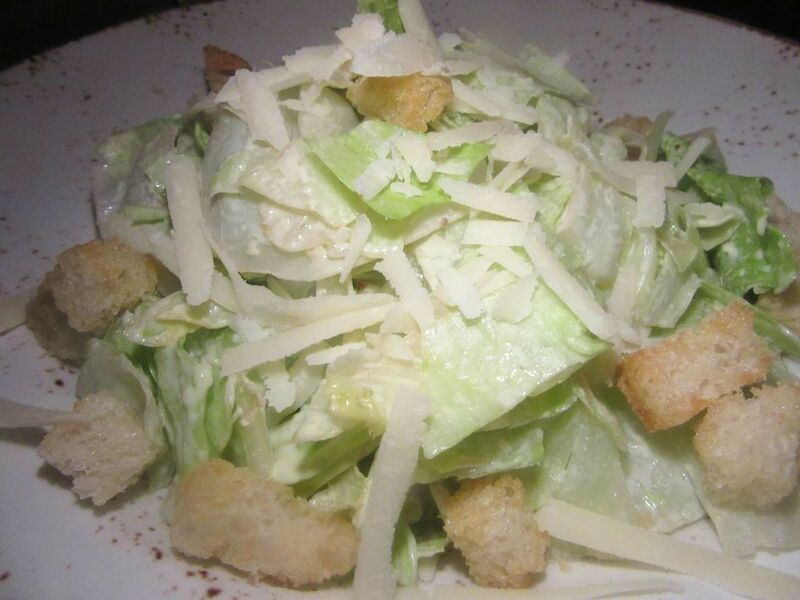 The borderdline Caesar needs more garlicky oomph, a hit of anchovy flavor -- and crisper romaine. 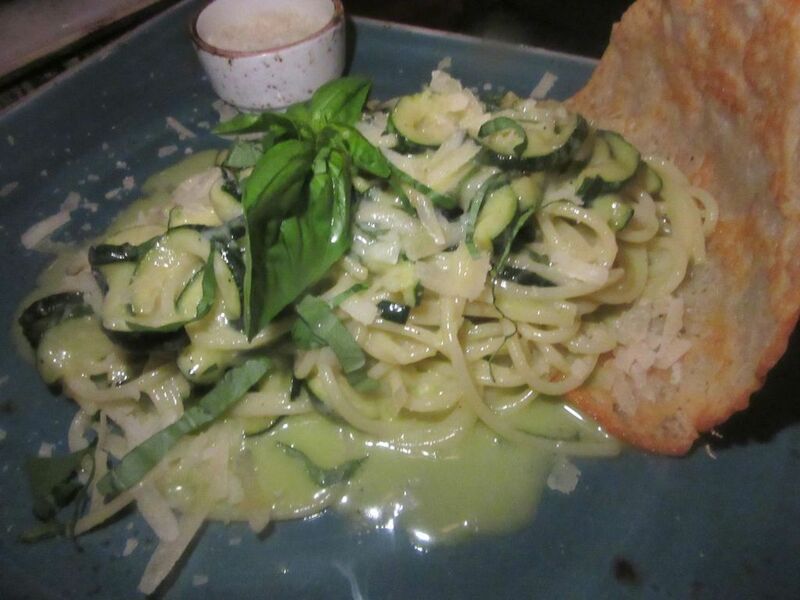 Spaghetti with sautéed zucchini in a buttery Parmigiana cream sauce spills out of a crisp shell. She is not impressed. A runner delivers the spaghetti alla Nerano spilling out of a big crisp, with sautéed zucchini in a Parmigiana cream sauce, and roulades of chicken leg stuffed with sausage and pancetta with roasted potatoes, side by side. She agrees the giant rectangular plates look great. Neither pasta nor bird is actually bad, just over-sauced. For the record, the roasted potatoes are possibly the best offering here. 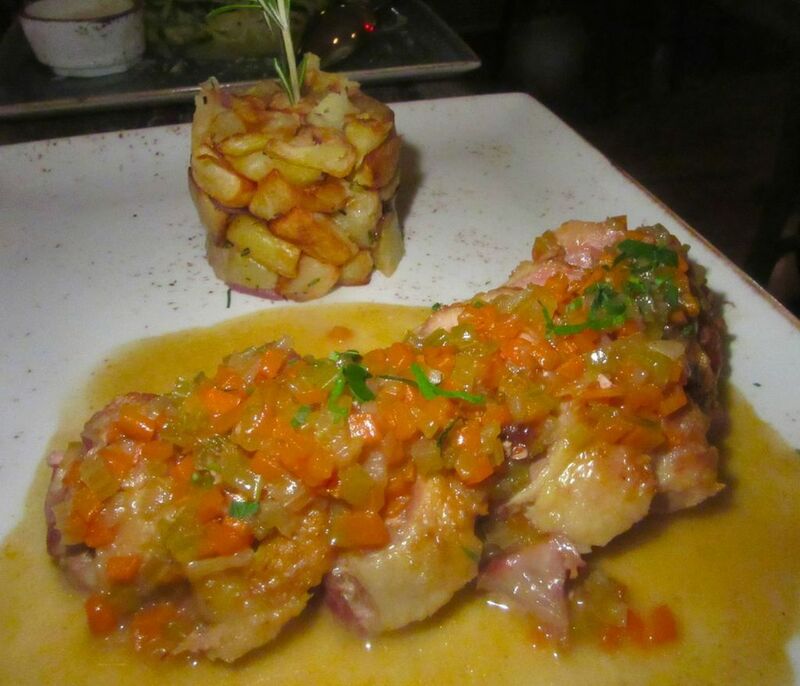 Chicken legs are studded with sausage and pancetta in a rosemary demi-glace cacciatore sauce. I am looking forward to trying hazelnut chocolate cake with vanilla gelato. “It will take 20 minutes,” Alexey warns. We order the zabaione instead. It comes with berries on biscotti crumbs in a big jar -- an excellent finale, followed by Alexey delivering an unusally good limoncello on the house. I like that touch. It reminds me of dinner in Venice. 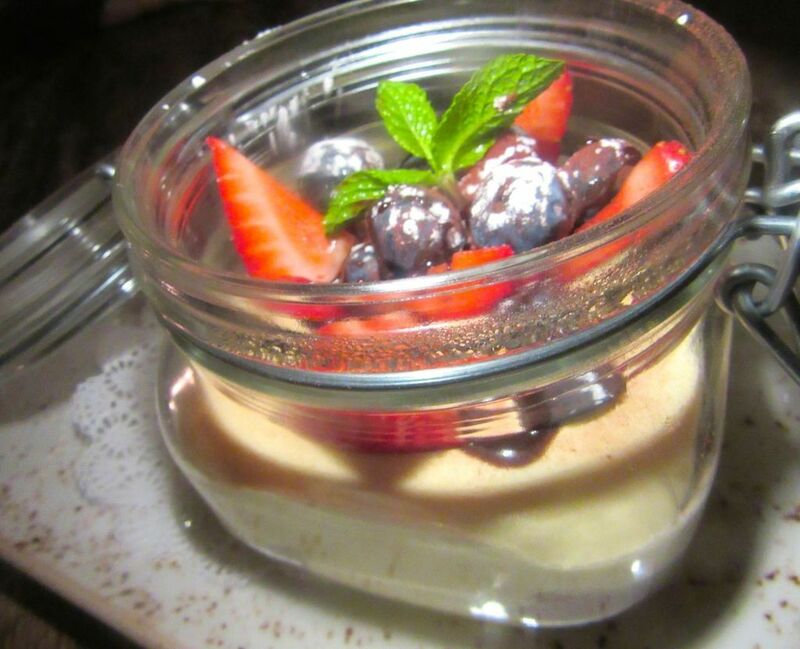 Zabaione with mascarpone is served with berries on a biscotti crust in a glass jar. Dig deep. Tartina is scheduled to start serving lunch May 16. For now they do a jazz brunch on Sunday with Pasquale Grasso on guitar and Stefano Doglioni on bass clarinet. Chef Terminiello was hesitant to do brunch. “It’s not in my culture,” he told his wife Maria Theresa Valestra when she sensed the demand at an earlier Tartina in Hell’s Kitchen. His Parma cotto is a play on eggs Benedict. The Caesar salad cries out for more flavor – garlic and anchovy -- and crisper romaine. I like this place -- slow, haphazard as it is. I wish it were better. I wish it were consistent. I wish Julia Child would come to the chef in a dream and show him how to make a lively vinaigrette. But I will be back again for pasta and maybe try the chicken cooked under a brick or the steak grilled on a lava stone. And I know you won’t be counting on total dazzle if you come. 1034 Amsterdam Avenue on the SW corner of 111th Street. 646 590 0577. Lunch noon to 3 pm. Dinner 5 pm to 11 pm. Brunch 11 am to 3 pm.